uh, this is the first of April, isn’t it? Good one! You got me for a second or two but since I was wounded by Kat’s Uzi in the Press Conference I didn’t dare reveal all I didn’t know. Dang it, what am I supposed to do with all my stock options? All I got were gruel options. No, wait — it says what I got is optional gruel. Come clean, Hise. 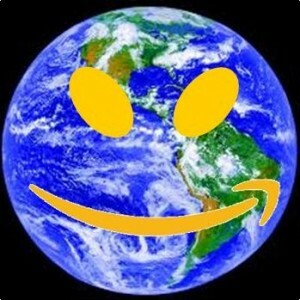 You’re in the midst of a hostile takeover of Amazon aren’t you? And you’re going to change the name to a different river, aren’t you? Something like Swanee or Mississippi. An excellent strategic move, EM, which I’m sure will see the Indies Unlimited brand get the recognition it deserves. Or not. LOL! OMG, I was almost taken on this one! Good one!!! K.S. needs to refresh her “Anger Management Class.” She failed to smile as she delivered her eloquent message. In regards to Tim hiding behind his false facade, I fear he has fallen into an abyss of oblivion and grandeur. Nothing like getting Monday off on the wrong foot. Well done! So the new name will be Amazons Unlimited – run by amazons, of course to bring in the males. Does this mean we can start getting the gruel with the berries in it? No, Rich. You need to start reading your e-mails more carefully. Berries are only available with KIU Minion Select. I keep forgetting it is April 1st! This is the second time I was fooled today! It only worked for me up to the second paragraph, after that I knew this couldn’t be true. You can’t be both rambling and brief. But hey…you still got me wondering for a minute there; good one! LOL! I wanna know what was in the cookie dough! And only for five days every three months. We got bored one night and pounded some of the gruel into paper. I look forward to the new Amazon-rebranded website “Dependies Limited” I see a natural marketing tie-in between the creative output of the former Indies writing site and the adult diaper market. Kudos to all! Perfect! I almost fell off my chair when I read this, I was laughing so hard. Good job, you guys! Sorry I couldn’t respond sooner, I was having lunch and discussing the WIP with Bruce Springsteen. Best April Fool’s joke I’ve seen all day. Nice.